The following size charts help you determine the correct glove size that ensures a combination of comfort and protection. NOTE: Use the longest finger-length or hand-width measurement to find your accurate glove size in the below charts. If your longest measurement falls between sizes, order the larger glove size. 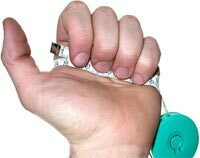 Width Measurement: Wrap a tailor's measuring tape around your dominant hand just below your knuckles (excluding your thumb), and make a fist. 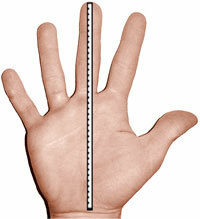 This measurement is your hand width glove size.